The British 'Star Wars' actor told the Evening Standard that, before he was famous, he was consistently stopped by airline security in America. 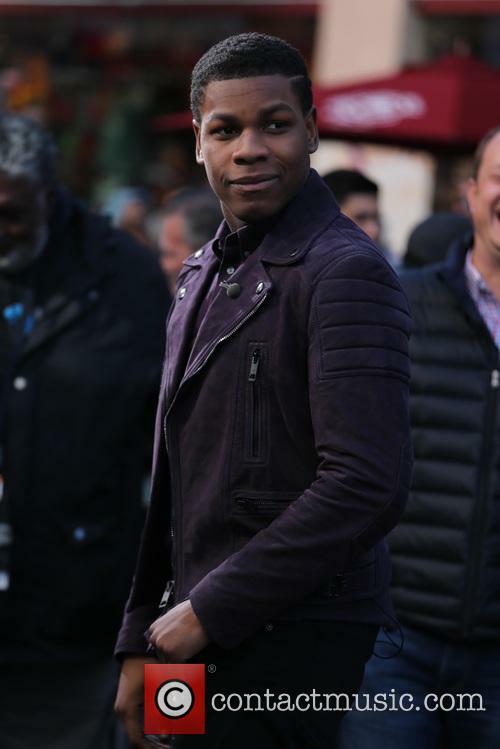 Star Wars breakout star John Boyega has revealed that he used to be stopped by American border officials for “random checks” every time he flew to the United States. 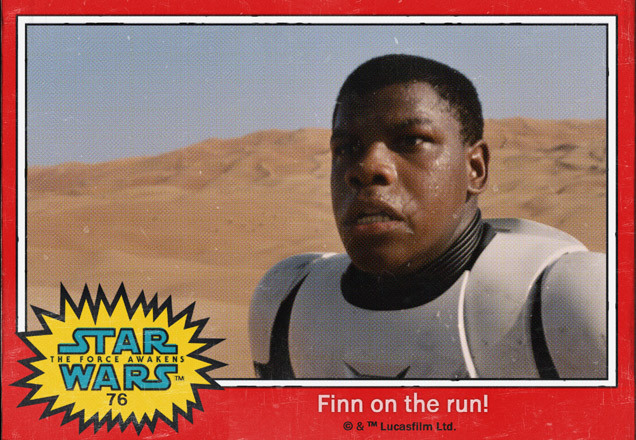 The 25 year old star said that, before he found widespread fame as Finn in The Force Awakens at the end of 2015, the checks happened all the time and had a disconcerting effect on him. 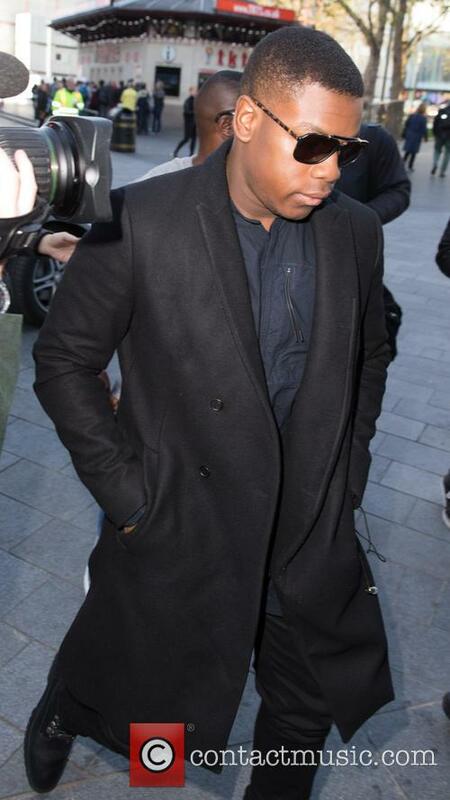 “I used to fly back and forth when I was hustling and auditioning for things in Los Angeles,” Boyega told London’s Evening Standard this week in a new interview. 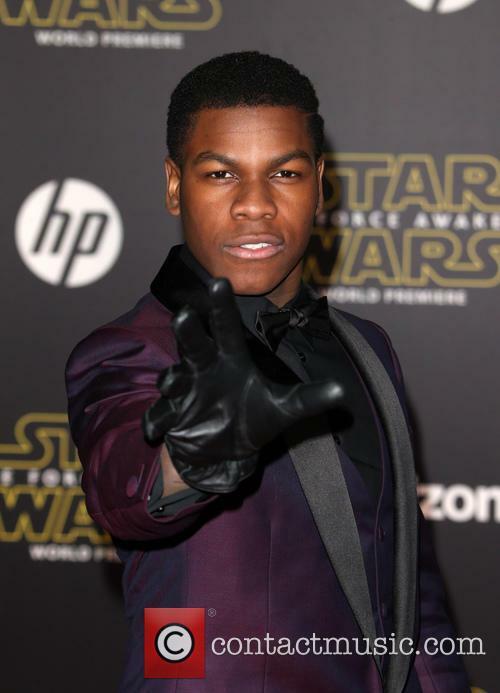 Boyega has landed yet another high profile role in the wake of his 'Star Wars' success - this time in the 'Pacific Rim' sequel due in 2017. 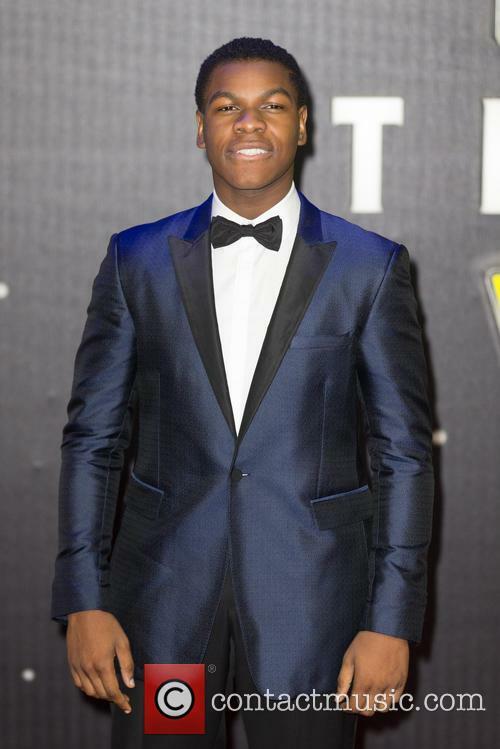 Star Wars actor John Boyega has landed another huge role in the wake of his recent success – the lead role in the forthcoming sequel to action blockbuster Pacific Rim. 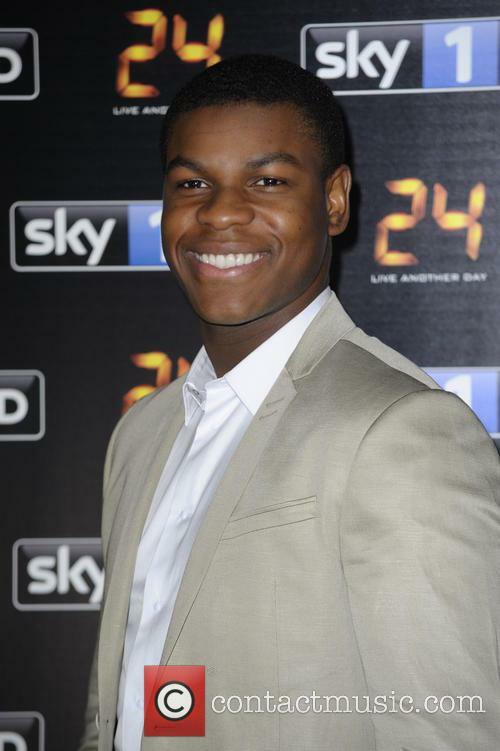 Deadline reported on Monday (June 6th) that the 24 year old London-born actor will be playing the son of Stacker Pentecost, who was played by Idris Elba in the 2013 original. Featuring human-piloted giant robots battling with trans-dimensional alien monsters, Pacific Rim ranked as one of the bigger budgets in recent times, with an outlay of $190 million. 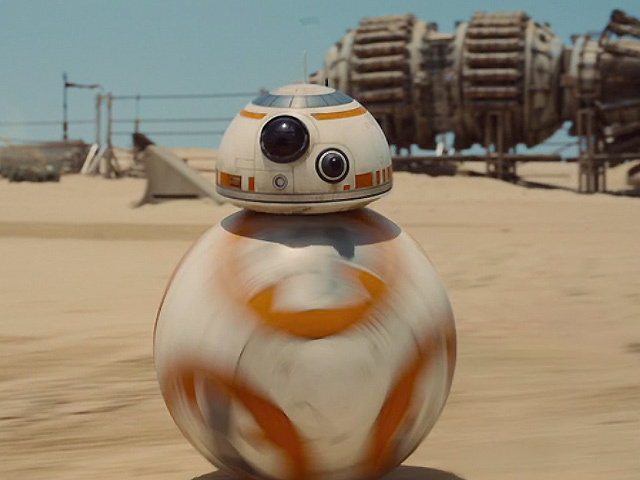 'Star Wars', 'Watership Down'... it's a busy year for this fledgling star. 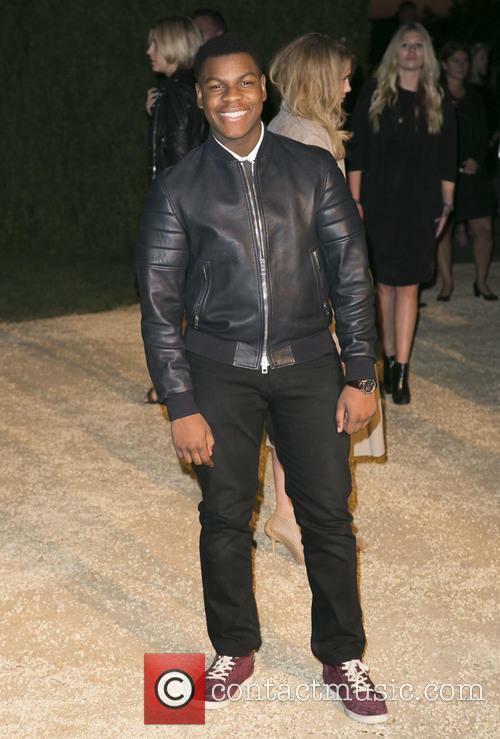 John Boyega has been quite the busy actor since appearing in 'Star Wars: The Force Awakens'. 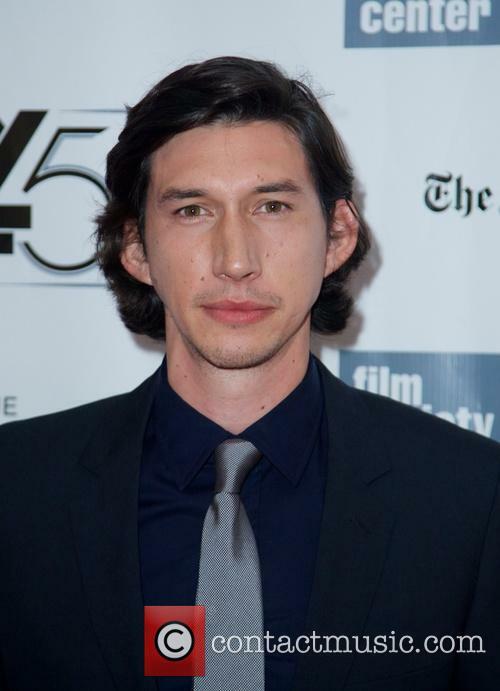 Not only have we got the sequel to look forward to, but we'll also be seeing his face a lot more often on stage and on the small screen as well as in the movies. 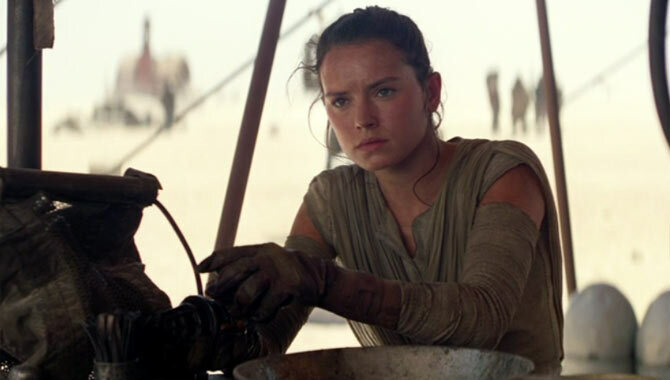 Could Star Wars' Daisy Ridley Be The Next Lara Croft? 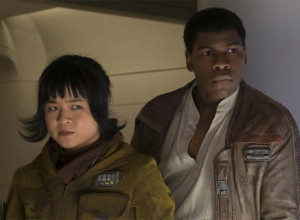 The actress has confirmed she’s had ‘conversations’ about the role and ‘Star Wars’ co-star John Boyega approves. 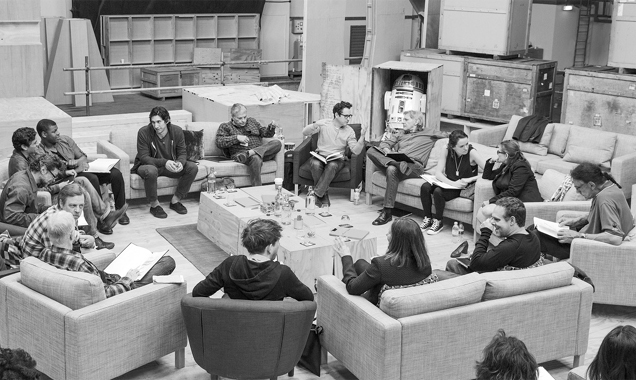 Fresh off making her big screen debut in Star Wars: The Force Awakens as Rey, Daisy Ridley is eying a role as another heroine. The 23-year-old has confirmed there have been talks about her starring as Lara Croft in a Tomb Raider reboot, and Ridley is super excited about the prospect. Daisy Ridley in eyeing a role in the Tomb Raider reboot. Speaking to The Hollywood Reporter at the Empire Awards in London, Ridley said there “have been conversations” about her taking over the role, which was originally played by Angelina Jolie, however she hasn't had a formal offer. Continue reading: Could Star Wars' Daisy Ridley Be The Next Lara Croft? 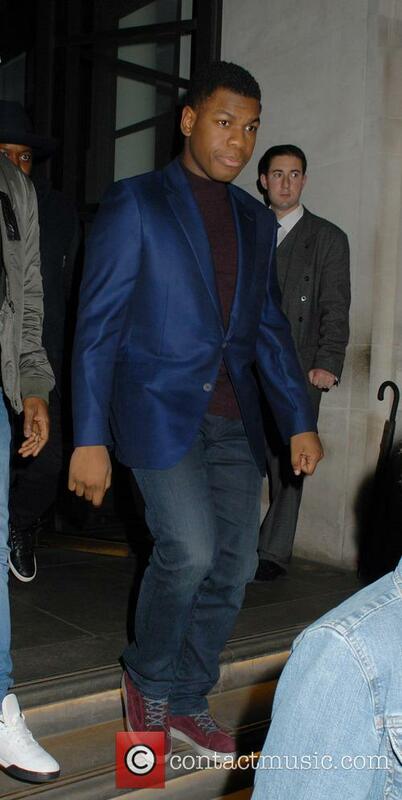 The actor helped a five-year-old boy deliver toys to other children at The Royal Hospital in London. 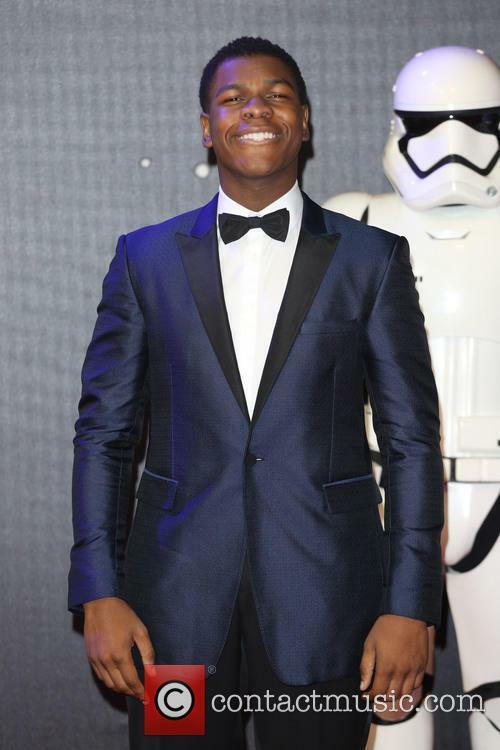 Star Wars: The Force Awakens actor John Boyega really is a real-life hero. 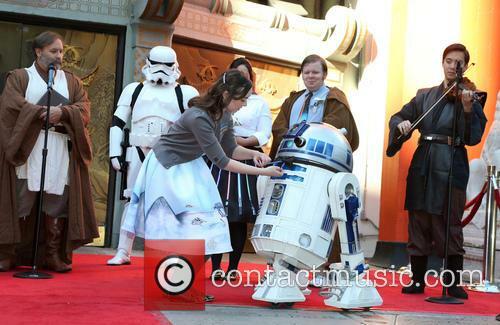 The 23-year-old British actor spent Friday (March 11th) making five-year-old super-fan Daniel Bell’s dreams come true, when he joined him in full costume to help give out toys to sick children. 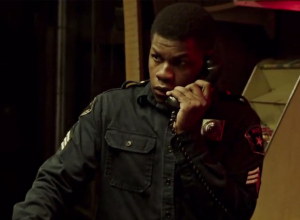 The record-breaking box office smash received a staggering 11 nominations, including for its young stars John Boyega and Daisy Ridley. 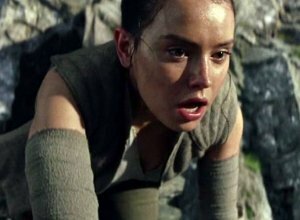 Star Wars: The Force Awakens received the most nominations for this year’s Mtv Movie Awards, after being selected in a total of 11 categories ahead of next month’s ceremony in Los Angeles. Having been snubbed in all five of its categories at the Oscars recently, with no recognition in any of the acting categories or for Best Picture, the slightly more irreverent and pop culture-oriented MTV Movie Awards may see the record-breaking film get better luck. Because there's still a long way to go for diversity. Academy Award sceptics are expecting another white-washed year, with diversity in Hollywood still not as broad as we need it to be. If you're one of the cynics, you'd be right to think that way, because even going through the ton of blockbusters seen in 2015, only a handful have any actors of colour. 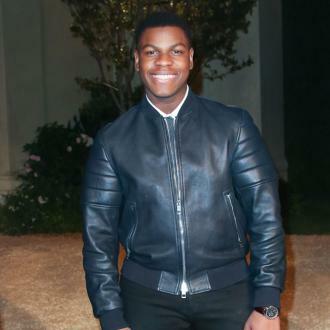 Being in 'Star Wars' means being close to Harrison Ford for John Boyega. 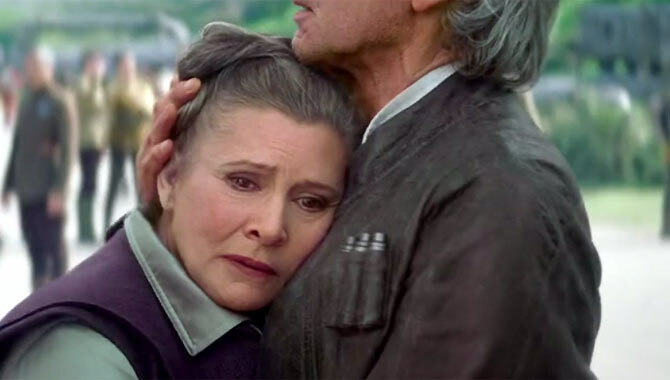 What, would you imagine, would be the best thing about appearing in 'Star Wars: The Force Awakens' as a long-time fan of the franchise? Getting to wear those cool costumes? Visiting those incredible sets? Or being awarded the millions of dollars in box office sales and ultimate respect from fans forevermore? 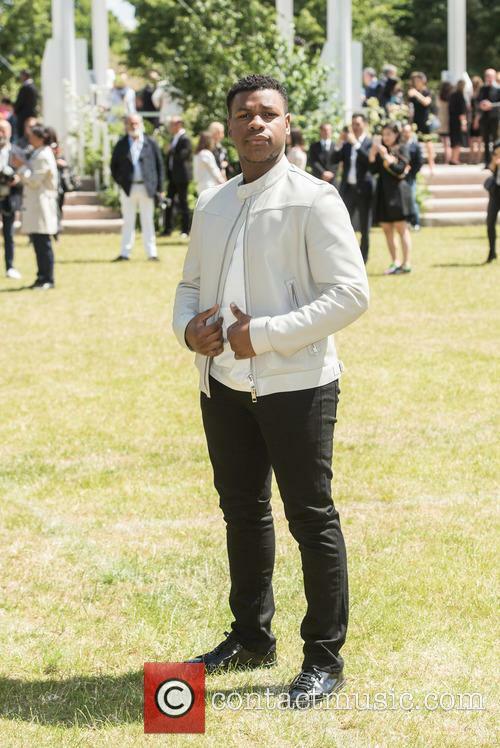 For John Boyega, the best thing was in fact getting to meet his life-long hero and now co-star Harrison Ford. 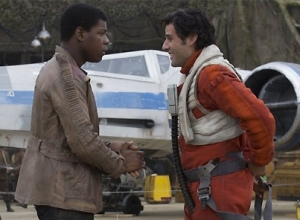 In a short featurette released ahead of the film's release in December 2015, we see Boyega giving Ford a huge hug before presenting him with a large Han Solo action figure, a broad grin spread across his face. It's not entirely clear whether Ford signed 'Harrison Ford' or 'Han Solo' on the front of the toy, but either way, Boyega looked immensely thrilled and totally lost for words, while co-star Daisy Ridley looked on, impressed. The British duo are joined by 'Game of Thrones' star Emilia Clarke as some of the non-American names in the entertainment section of the annual list. 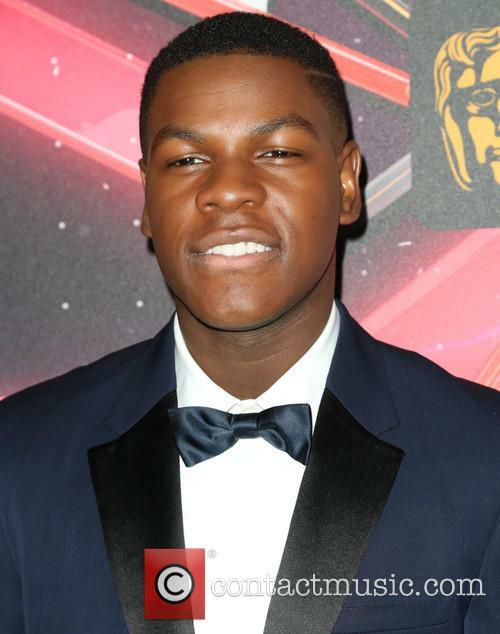 John Boyega and Daisy Ridley, the young stars of the new Star Wars movie, are included on the annual Forbes list ’30 Under 30’, alongside fellow Brit Emilia Clarke from ‘Game of Thrones’. The stars are included in a list of more than 600 of the world’s youngest talents, in categories ranging from entertainment and music to games and technology, and the feature was cut down from an initial list of more than 15,000 names. It’s the fifth consecutive year that the list has been published, and was released on Monday (January 4th). 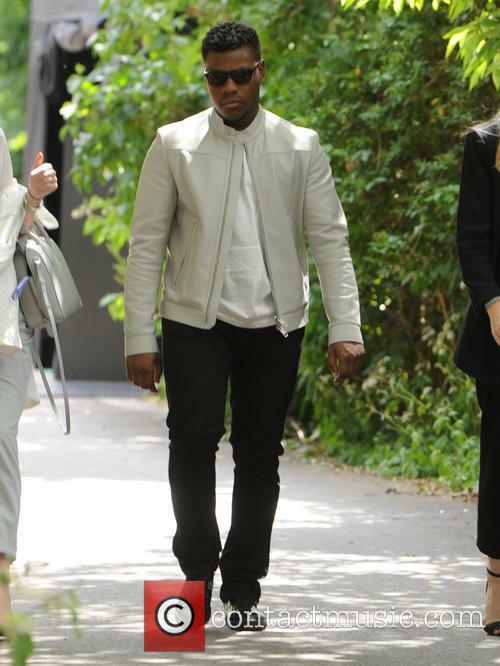 The 'Star Wars' hero Boyega and his sister were close friends of Damilola Taylor, the 10 year old schoolchild shockingly murdered in South London in 2000. 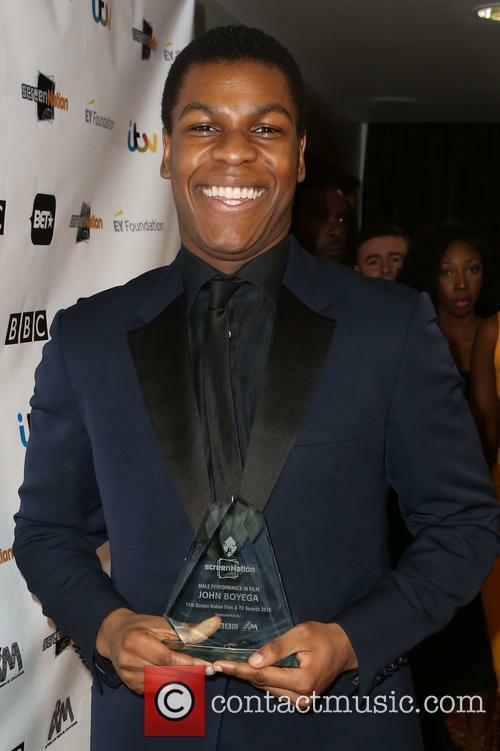 John Boyega, one of the new young stars of Star Wars: The Force Awakens, was one of the last people to see Damilola Taylor, the 10 year old schoolchild shockingly murdered on the streets of London by a gang in 2000, alive. 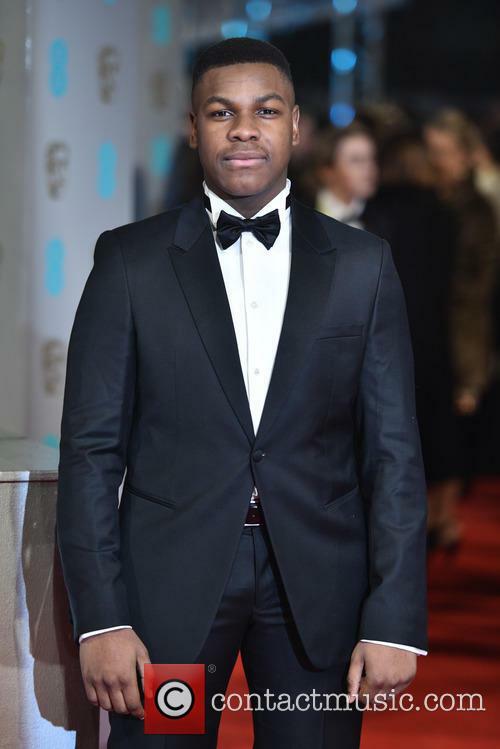 Damilola Taylor’s horrifying death made national headlines 15 years ago, and Taylor’s father has revealed that Boyega and his sister Grace would have been some of the last people to see his son alive, as they were very close as children. 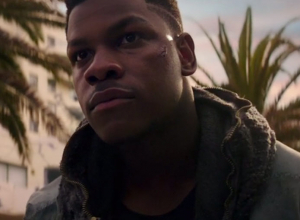 Boyega’s friends weren’t expecting the actor to have so much screen time in ‘The Force Awakens’. 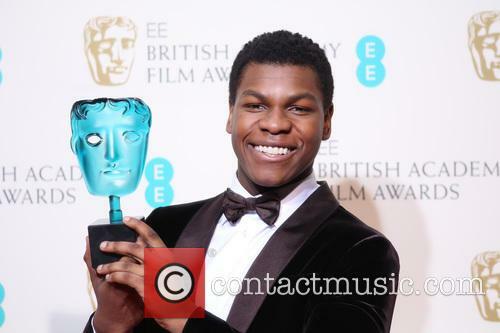 Star Wars: The Force Awakens star John Boyega has revealed that his friends were shocked when they realised just how much screen time he had in the blockbuster film, believing at first he would just be an extra! 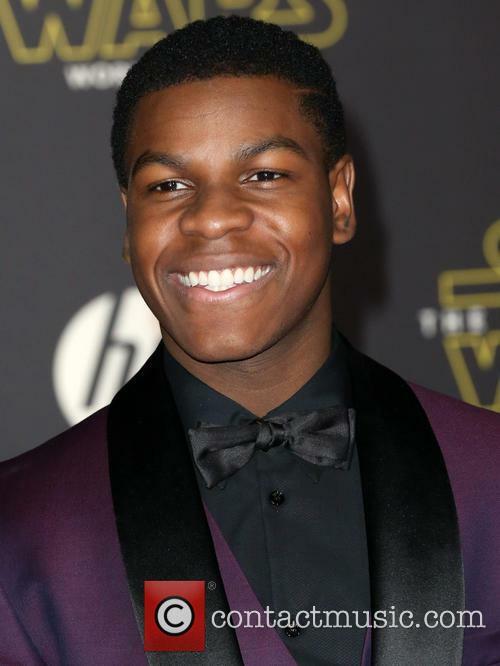 Boyega plays new character Finn in the movie which is his first major film role. 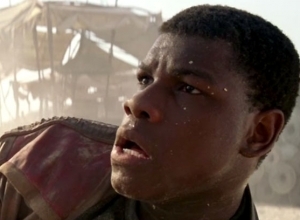 John Boyega plays Finn in Star Wars: The Force Awakens. 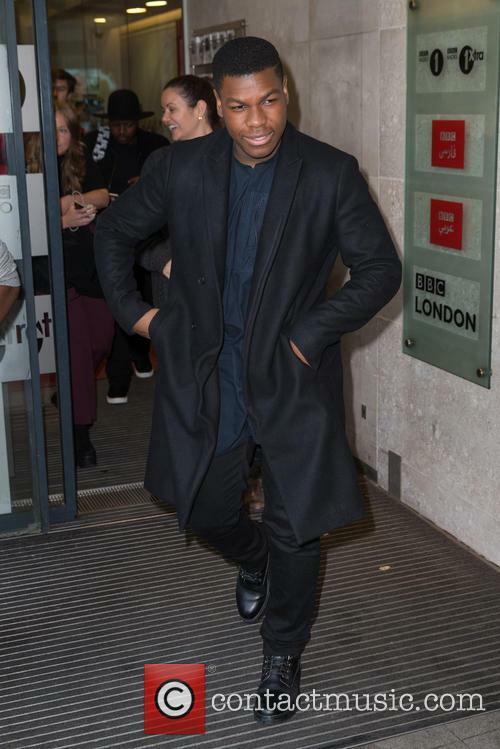 Speaking on ‘The Tonight Show Starring Jimmy Fallon’ on Friday, Boyega said "I took them to the London premiere and after the premiere they were just like, 'Yo, John, I never knew you were in the movie for so long – I thought you were an extra!' 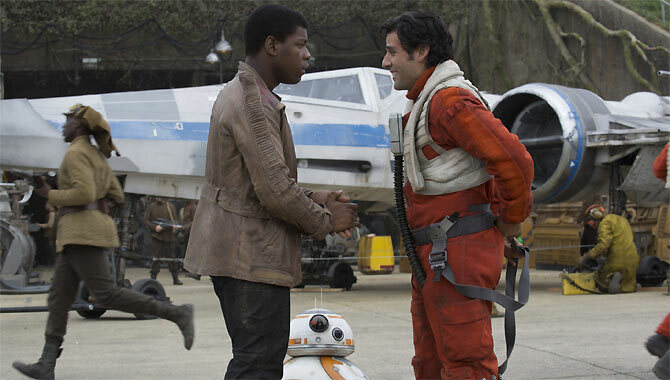 "
The two lead actors in Star Wars: The Force Awakens are relative unknowns, 23-year-old Londoners with only a handful of credits between them. 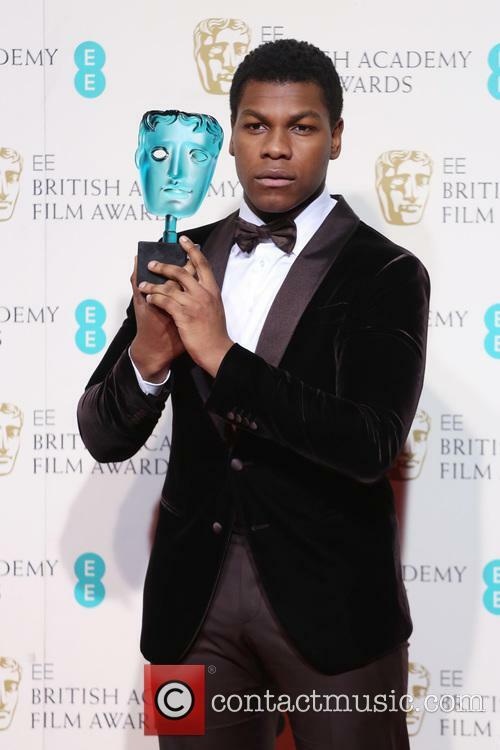 Daisy Ridley has mainly appeared in TV series, while John Boyega won awards for his first film role in Attack the Block (2011). But of course all of that changes this weekend. Both have spoken about the lengthy Star Wars audition process. 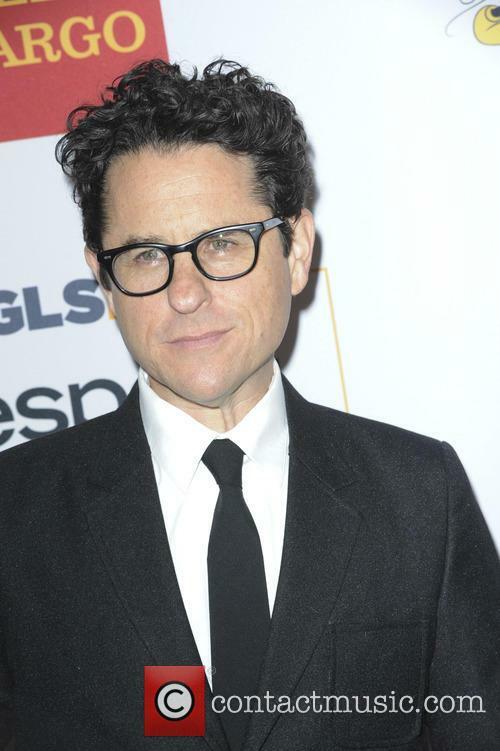 "Luckily for me J.J. Abrams was searching as far and wide as possible to cast the role," says Ridley, who plays scavenger-turned-hero Rey. "I thought I'd ruined the first few auditions, but he saw some potential I guess and I was allowed to come back and read again. 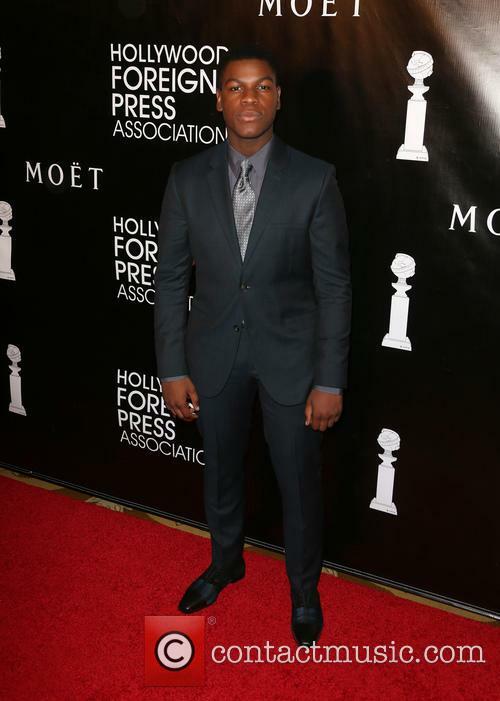 From when I started auditioning two years ago until now it has been like a rollercoaster." The actor even got to watch Williams score the film. 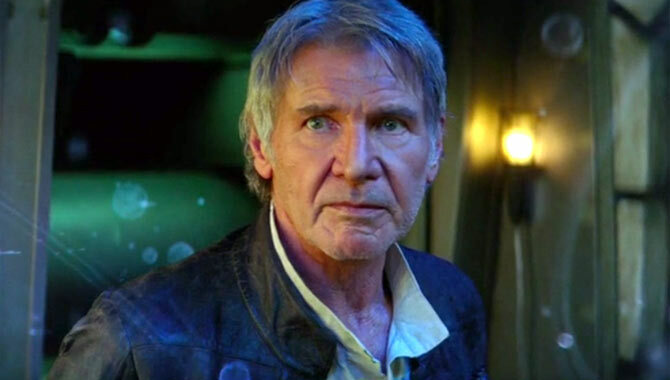 'Star Wars: The Force Awakens' is coming to the big screen for public viewing very soon. Fans are looking forward to seeing the incredible cast of old and new stars, the enormous sets that will no doubt be more awesome than ever before and the amazing journey these chracters are about to embark on. 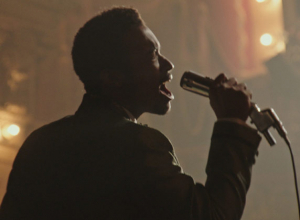 For John Boyega, however, one of the most underrated highlights of the movie is the music. 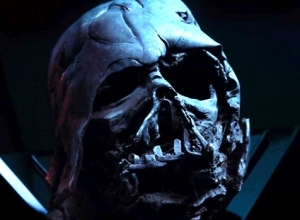 Legendary composer John Williams returns to score the film, which is only fitting given that 'The Imperial March' is one of the most recognised film themes in the world. 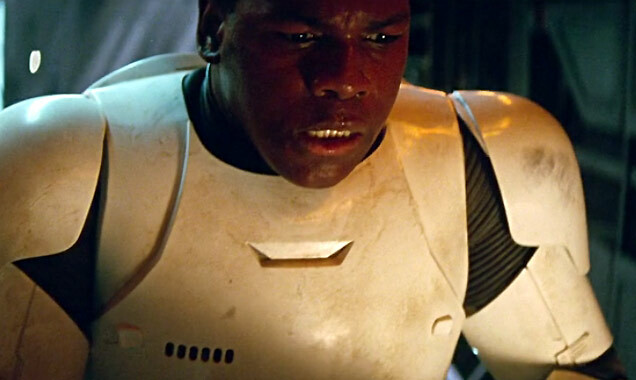 Boyega and his co-stars even got the chance to witness Williams recording the new score, which turns out to have been a mind-blowing experience. 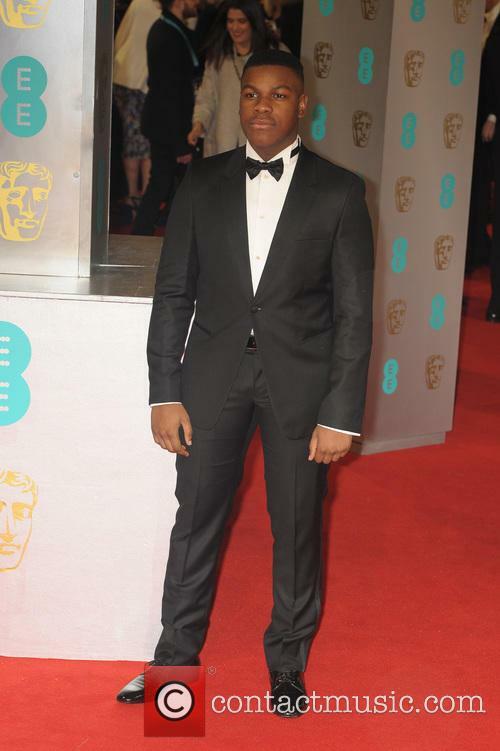 Before landing the role of Finn in Star Wars: Episode VII - The Force Awakens John Boyega was relatively unknown, he's appeared in Joe Cornish's Brit sci-fi comedy Attack The Block but most of his other work was TV based roles so as a lifelong fan of the movie franchise, this was one hell of a role for John to land. 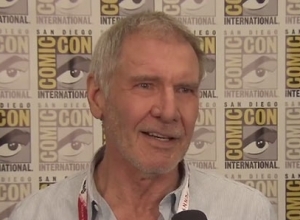 As well as obviously being ecstatic to work with JJ Abrams, John also explains how fantastic it was to be around Harrison Ford 24/7 as well as being able to explore the HUGE Millennium Falcon set. 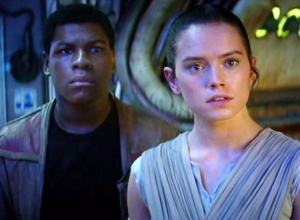 'Star Wars: The Force Awakens' is all about diversity. 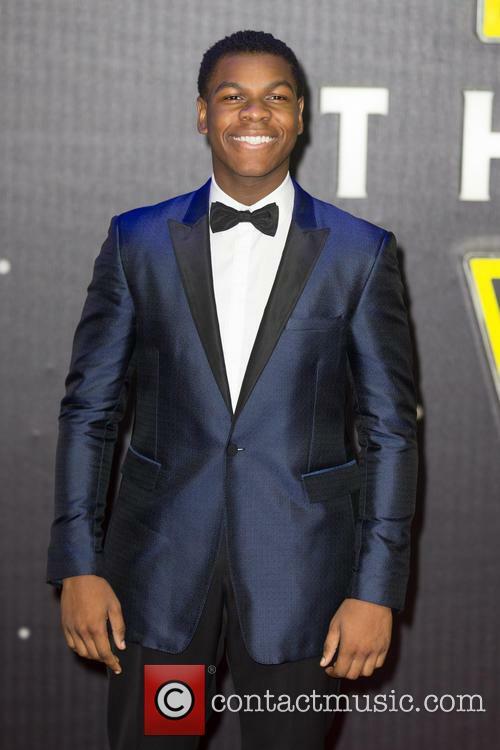 John Boyega is one of the newest members of the 'Star Wars' franchise and, in case you haven't been following the little promotional material that has already been released for 'The Force Awakens', he also happens to be one of the only black characters. Such recognition of diversity ought to be praised, but his involvement has sparked controversy among the prejudiced fans of the web since he appeared in the first trailer. Riveting performances hold our attention even when this dark drama starts wallowing in the messy lives of its central characters. But there are glimmers of hope along the way, and a terrifyingly realistic depiction of addiction. Frank (Marsan) is a recovering drunk who can't cope with his past as a military officer. He has lost his wife and daughter as a result, but he's snapped out of his stupor when he meets snarky homeless teen Lynette (Reid) and helps her get back on her feet. Then she brings her drug-dealing boyfriend Danny (Sturridge) into his flat, and Frank's grip on reality starts to waver as he hits the bottle again. Meanwhile, a wealthy businesswoman (Garai) struggles to balance motherhood with her personal and professional lives.